Spectacular Georgian Colonial in the highly sought-after estate section of Mockingbird Gardens, where the amenities of newer homes meet the convenience of a central location close to restaurants, shopping, and downtown. Timeless exterior design and lush landscaping welcome guests and create an inviting street presence. The elegant two story entry hall leads to both a banquet sized dining room and the spacious formal living room with fireplace. The family room features french doors flanking the stately fireplace and leads to the outdoor terrace. A chef's kitchen boasts Thermador and Viking appliances, a charming breakfast area with bay window, granite-topped center island, and access to the back staircase, laundry room, one of two first floor powder rooms, and the 3 car attached garage. Mockingbird Gardens is a subdivision within the city of Louisville, Kentucky. There are currently 4 Homes for Sale within Mockingbird Gardens, with asking prices ranging from $615,000 to $2,195,000. The average list price per square foot of the available inventory in Mockingbird Gardens is $191, which is above the Louisville average of $157. 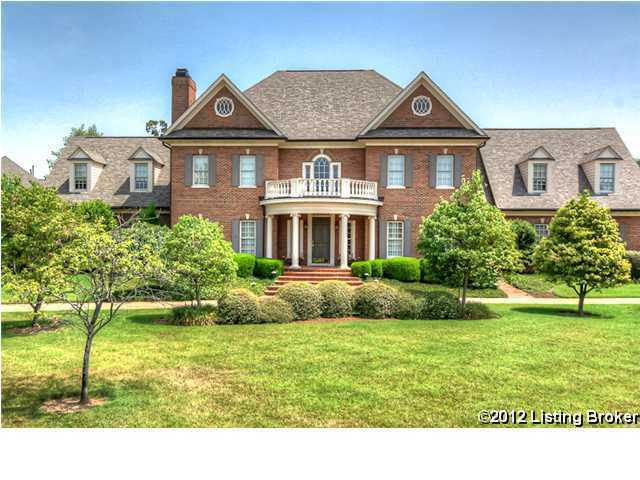 The Average Sales price of all sold real estate in this subdivision for the past year is $846,500. Recent comparable homes have been selling for 95.16% of their asking price. Waterfront homes represent 50.00% of the available Mockingbird Gardens inventory. The population of Louisville, according to the 2010 Census, is 597,337. The total number of households in the zip code of Mockingbird Gardens is 13,905, with an average household size for of 2.13 people. The total number of renter households within the zip code of 40207 is 4,301, which means that 69.07% of households in this zipcode are owner occupant households. , Louisville KY 40207 is a Home, with 6 bedrooms which is recently sold, it has 7,935 sqft, <= 1 ACRE sized lot, and 3 Car Garage,Attached,Entry Side parking. A comparable Home, has 4 bedrooms and 4.5 baths, it was built in and is located at 308 Pepperbush Rd Louisville KY 40207 and for sale by its owner at $ 675,000. This home is located in the city of Louisville , in zip code 40207, this Jefferson County Home, it is in the MOCKINGBIRD GARDENS Subdivision, and St Matthews are nearby neighborhoods.